When winters arrive, it brings many viruses and bacteria’s with it which attack people resulting in diseases like flu. 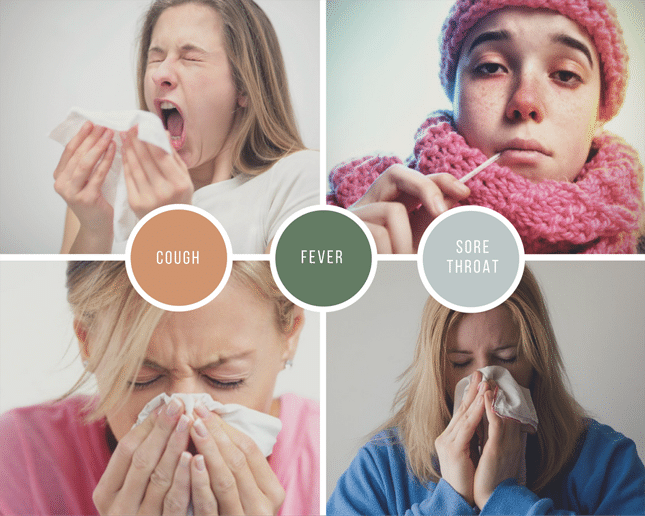 The flu is often confused with the similar virus named “common cold” because of its similar symptoms which include a sore throat, cough and nasal congestion. Flu symptoms also include fever, stuffy nose, body and headache, cold sweats, exhaustion and intestinal disturbance. Flu is highly contagious and is spread through sneezing and cough of an infected person. In the US, Flu season starts in October and get its full swing in December which last till the end of March. During this time people rush to hospitals and clinics for getting Flu shots which help in preventing from Flu virus. Flu usually attacks people with weak immune system and the reason why our immune system gets weak during winters is due to lack of sunlight which leads to low levels of Melatonin and Vitamin D in our body. These two ingredients require sunlight for their production and are the main building blocks of our immune system. I believe, in order to make our immune system stronger and produce more Vitamin D and Melatonin in our body naturally, Home remedies are the best solution. Let’s think logical, How can medicines help in increasing our immune power? It can help in killing the bacteria’s or may shorten the length of a virus by a day or 2, but it cannot remove them completely. The virus might hit again. If our immune system is strong, it can fight with many diseases and viruses on its own. I am not against medicines, however, a certain type of illness require medicines and prescription but minor diseases like Flu, Constipation, Muscle cramps and many other can be easily cured by natural ways which not only removes the bacteria’s but also prevents from further infections and makes our immune system stronger. 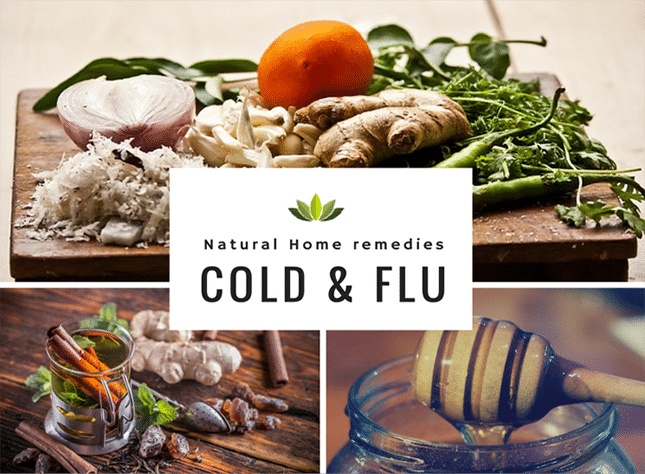 If you are experiencing flu symptoms, you can start using natural home remedies for a quick relief. The ingredients used in making these home remedies are available in every home’s kitchen and are effective in treating flu and cold. Let’s discuss them. Honey is the great gift of mother nature and contains antioxidants properties that help in the soothing throat. On the other hand, Cinnamon is a spice used in foods for flavor, It has some great anti-bacterial and warming property that helps in clearing nasal congestion, chest congestion, throat irritation and also helps in a quick recovery of our weak immune system. Take 1 teaspoon of honey and sprinkle some powdered cinnamon above it. Heat the spoon ( containing honey and cinnamon) on the stove ( gas or electric both). Do not make it too hot that it can burn your tongue, just a little heat. Then lick or eat the honey. Do not drink water after that for at least 1 hour. Do this 2 or 3 times a day. Black Raisins are full with nutritional benefits and healthy calories that make it unique from other dry fruits. The powerful phytonutrients present in them helps in treating throat infections, fever and chest congestion. It helps in removing blocked mucus in the bronchial tube that triggers the problem of breathing. Make the black raisins tea by adding 6 or 7 black raisins in 1 cup of water and boil it until you see bubbles coming. Drink the hot tea with black raisin in the water and in the end eat those black raisins. Ginger is a great analgesic if you are experiencing severe flu. The anti-inflammatory and antiviral properties present in it deals with the flu virus and lowers the discomfort, nose irritation and body ache. Ginger helps in losing the mucus from lungs and sinus and soothes the lung tissues. You can consume ginger in the form of tea. Making ginger tea is very simple. Add 1-inch freshly cut ginger in 1.5 cups of water and boil it for few minutes. Once you see bubbles, take it off and let it simmer for 5 minutes. Strain it and consume the tea. leave the ginger piece inside your cup while drinking. For flavor, you can add honey and lemon to it. When it comes to prevention from cold and flu, garlic is the best food. It well known for its antibacterial and anti-fungal properties due to a compound called Allicin present in it. Garlic helps in reducing the cold and flu symptoms and adding it to your regular diet helps you avoid getting sick in the first place. Garlic also helps in treating urinary tract infection, prevents from heart strokes, lower blood pressure and reduce cholesterol. A research published in the Cochrane Database of Systematic Reviews proves that people who took a garlic supplement had fewer cases of the cold and flu than those who didn’t. Eating raw garlic is the best way to consume during Flu. Chew a raw clove of garlic every 3 or 4 hours. If you don’t like the taste, swallow it like a pill. Hot Cayenne Pepper which you see in hot chips and crackers not only gives you spicy sensation but also works great for your nasal congestion and sinuses. Cayenne has the ability to ease an upset stomach, ulcers, sore throats, spasmodic and irritating coughs and diarrhea. It helps in breaking up and moving congested mucus out from the body and decrease the flu symptoms. It also helps in lowering high body temperature and fever. You can consume Cayenne in the form of tea. Just make a regular tea using a tea bag and add 1 tablespoon of honey and 1/2 teaspoon of dry cayenne powder. Don’t add to much pepper as it will become very spicy and difficult to consume. Tomato tea is a great remedy for flu. This natural remedy is not discussed much but it is the ultimate recipe for congestion. This tea is not only made from tomato but also includes garlic, lemon, and hot sauce. If you are having sinus issue, it is highly recommended that you should give this a try. Below is the detailed video on how to make tomato tea. Follow the instructions mentioned in the video and get relief from flu.